Enjoy a decadently sumptuous meal as you take in London from an unforgettable perspective. Day or night, there's nothing like a riverfront cruise to truly appreciate in the beauty of the city. Refined British cuisine and a panoramic display of views combine on this exceptional adventure. 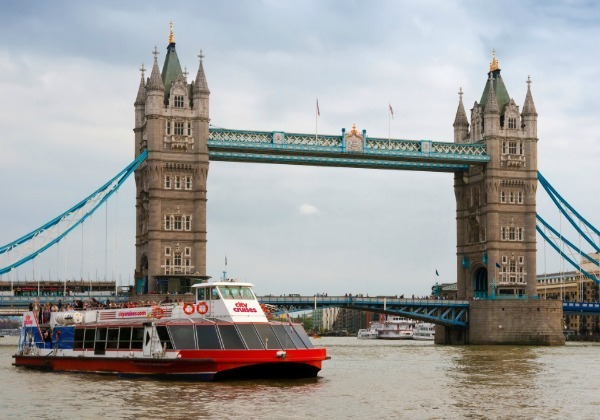 Create unforgettable memories and tour the heart of London in style along the River Thames. Paris might hold the title for the most romantic city in the world, but London gives the French capital a run for its money. Stroll through the center of London on any given night and you’ll discover no shortage of couples enjoying the ambiance of the city. 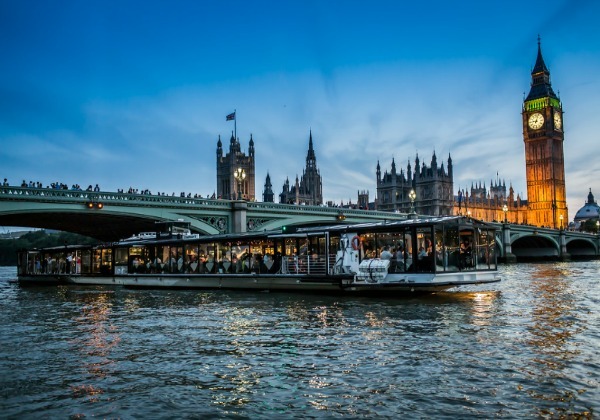 An evening cruise along the River Thames is a lovely way to cap off or start your trip to London. With a variety of sunset cruises available, you can sip champagne as you watch the sun set behind Big Ben or enjoy a romantic dinner on the water. Compliment your excursion on the Thames with a ride on the London Eye where you and your significant other can soak in the best views of the city from 443-feet in the air. Have a date night London-style and experience the city like a local. Start with a romantic candlelit dinner in fashionable Soho and top things off with a trip to the West End to see a fabulous live show or musical. To combine a charming evening out with a bit of sightseeing, try an evening food tour or night time sightseeing excursion. In London, it doesn’t get much more romantic than afternoon tea. The ritual is best enjoyed with a partner and is available at beautiful venues across the city. Fortnum & Mason and the Grosvenor Hotel are popular picks that will be sure to set your heart aflutter. If all that isn’t enough, why not head to Paris for the day? At just over two hours away on the Eurostar, the world capital for romance is an easy day trip from London. Whether it's an exciting night out on the town or a quiet evening on the river, London has a way of rekindling the romantic side in all of us.